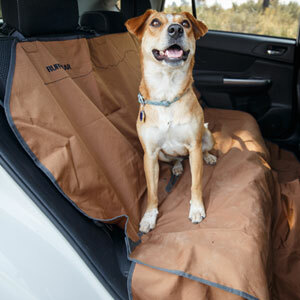 The Dirt Bag Seat Cover from Ruffwear is a durable, waterproof cover that protects the back seats of your car from mud, water and all the remnants of dog adventures. 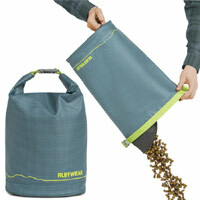 It comes in its own integrated stuff-sack, so it can be put away and kept in the car for whenever it is needed. 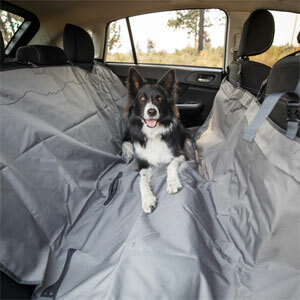 The ingenious design allows this seat cover to be installed in either a traditional bench (seat shaped) or hammock configuration, which helps protect the seat backs and floor of your car. 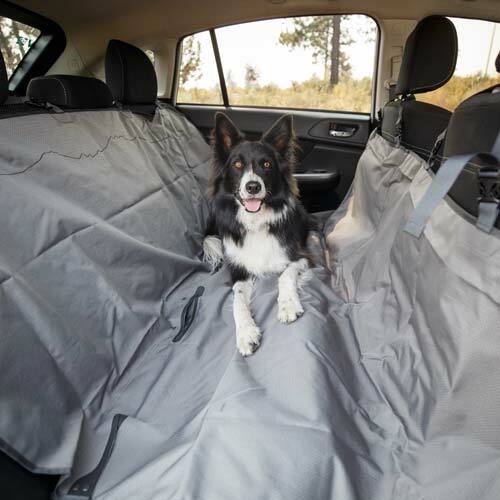 There are integrated seatbelt access points that can be opened when needed so whichever configuration you choose, you always have access to the seat belts, making sure your best friend is travelling safely. 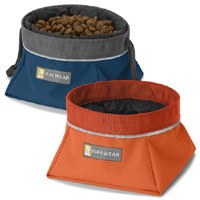 The tear-resistant fabric is waterproof yet comfortable for your dog. The underside features a grip coated surface to help keep the cover in place. 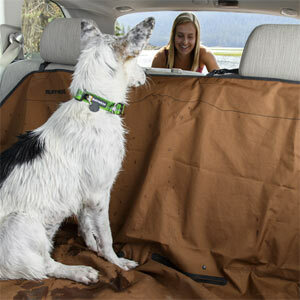 There are even side flaps that protect your car seats from mud and grunge when your dog enters or exits the car. Woof! Finally, the cover includes a zippered pocket to store small items like leads and toys. 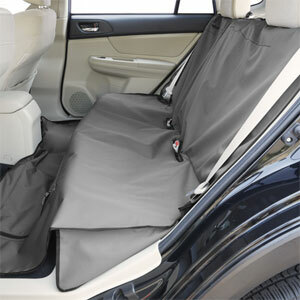 Easily attaches to the inside of your car via stuffer cleats that secure the cover to the seat (simply stuff them between the seat and the seat back) and adjustable webbing loops that fasten around the headrests. 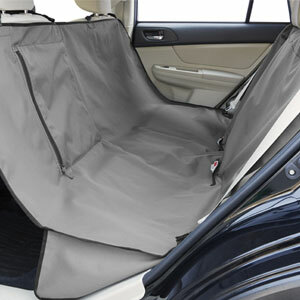 Available in one size and two colours - grey or brown. 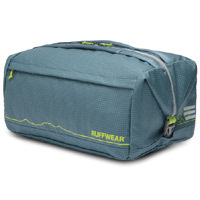 Made from 300D polyester diamond ripstop fabric with DWR. Waterproof TPE back coating. Nylon webbing and plastic side-release buckles. Remove straps. Wash in cold water on a gentle cycle using a mild detergent. Hang to dry (air dry). Do not bleach, iron, dry clean or tumble dry. 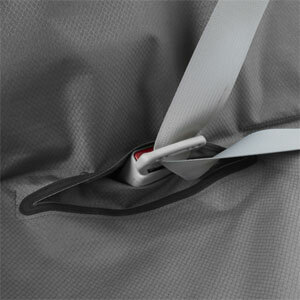 To check compatibility with your car seats, please see Dirtbag Seat Cover - Placement of Seat Belt Openings (224 KB pdf file).